Work for Check Point Endpoint Security? This software provides high levels of security and allows secure access to other devices, I really liked how easy it is to use and configure it, the infertfaz is very intuitive, and easy to understand, the use of the vpn does not slow down the connection, which is appreciated, it has nice performance. Sometimes the support team takes too long to answer any doubts or inconveniences. If you usually connect remotely to other computers, work from a distance with other co-workers, and fear that the information may be intercepted, this software is ideal because it allows the sending of information in a safe way, besides that you do not lose performance in the connection and speed of your internet. With this tool we can send data safely inside and outside the company, without the risk of the information being intercepted, in addition to allowing us to navigate through the Internet quietly without delays. "Check POINT will not disapPOINT." Guess what? I've NEVER had an incident since our company switched to Check Point Endpoint solutions. They're pretty rock solid as far as I'm concerned. I use the R77.30.03 management server and have been planning to move to the more attractive R80.20 here shortly. In any case, sometimes, it's so effective, it requires that you do A LOT of fine-tuning to iron out the false positives. If you have a running list of these exclusions, it's not so bad. If you're implementing this on your own, be ready to set up exclusions for EVERYTHING that is business pertinent. Literally everything. It does not like to let things slip through the cracks. That being said, false positives. This *DOES* happen, despite what Check Point might say. There are softwares that they deem "guilty by association" and exclusions *don't always work* for those. I also wish the dahsboard could break into additional screens instead of navigating between tabs. The reports can be a little funky/laggy sometimes, but what you need is usually in the first page of the dashboard. It can be difficult to upgrade versions if you have several disk encrypted devices in your network. Upgrading through R77.30.03 can be a major headache, I almost recommend using PDQ instead. We use Check Point for ALL of our device protections and are looking to move to Cloud Guard once that step is taken as well. "Check Point is ON POINT"
The management console is easy to navigate. Ever since we have deployed Check Point, we have yet to report any major incidents. We use the R77.30.03 management console, aka "SmartEndpoint." It's nice to have everything laid out in tabs and the UI is fairly interconnected, for the most part. You can make changes as general or as granular as you want. Installation and implementation is fairly seamless for workstations and devices that don't require encryption. The user facing side is self-explanatory and logs are incredibly easy to pull if/when they're needed. The anti-malware and threat emulation services are by far the best bang for your buck. The forensics reports that come from the events that transpire are generally very informative. The logging is nice, but can be buggy from within the console. Often, we experience installation issues with laptops. More often than not, our devices that have full disk encryption tend to have the most problems. Sometimes, partial installs are pushed out and, often, we're given only an option to re-image the machine from support. Their helpdesk level support is severely lacking. Occasionally, you'll encounter a good egg, and the higher up the rungs you go, the more technical they are, BUT most of their immediate contacts do not really have a clue what they're doing. They just throw ideas at the wall to see if they stick which isn't conducive to a business environment. Elements of the console don't work or won't populate sometimes. Often, it freezes and gets stuck in a "not responding" mode on each of our administrative machines. Have a representative that you can speak to directly. Take the necessary training courses for their product. It can be a lot to absorb and their documentation isn't always easy to follow if you're just starting out or have a basic level of knowledge about endpoint protection. Endpoint protection, logging, VPN access, compliance enforcement, media encryption and port protection, full disk encryption, and anti-bot. The benefits are the well-rounded security and zero-day coverage. "Good VPN Client for Business use"
user/password or certificate for login. small client, doesn't need a lot space. you dont need to shut down the client to turn it off. just click the mouse. if I need to change my password on windows, I need to be through certificate. sometimes I need two different connections and I cant do it. consider using certificates for all mobile users. access through VPN to intranet sites. "Security and VPN usage for my Work"
This product allows me to VPN into my work's local area network and I am able to complete my tasks remotely, with the satisfaction and relief that my work is secured and unimpeded or vulnerable. Interface seems a little outdated, but that isn't really a problem. This isn't a client facing piece of software, so it doesn't necessarily need to be flashy. We are able to remote into our private work network. This allows us to work when we face Facilities Maintenance emergencies and we need to access sensitive documents/data that is hosted locally on our campus. This allows us to save money for our client by being more available than ever to our services and data. "Effective full disk encryption for data protection of PII." I like the ability to enroll new users to the drive encryption screen through a default admin account and the ability to reset accounts through the webRH admin console. Data recovery due to corruption of an operating system's loader files require the drive be removed and daisy chained with another device running the disk mount utility and that can take days for decryption. A must have full disk encryption solution from Check Point Endpoint Security for protecting the hard drive and removable media encryption if you have users regularly work outside of your secure corporate offices. It can be costly when a laptop has been compromised with data breach. The business benefits are data loss prevention for devices that are constantly on mobility. Having peace of mind for both administrators and users and saving on costly fines and lawsuits from the public. 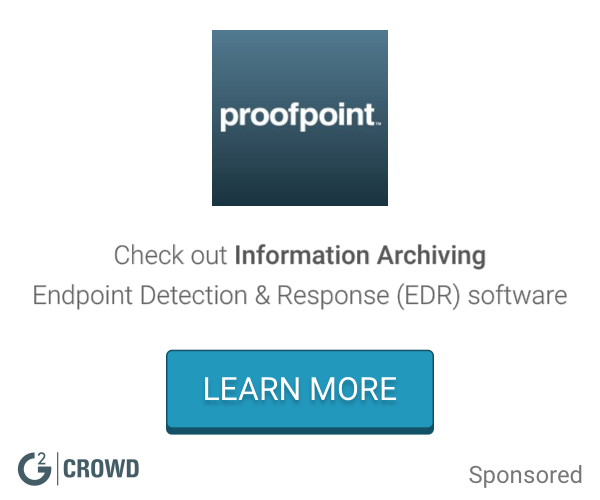 Check Point Endpoint Security makes it easy to manage my connection to work environments, while also leaving me comfortable that sensitive information remains protected. The product is clear with its indications of connection and protection statuses, including VPN connection, client security compliance, and firewall policy enabling. The connect and disconnect functions are clearly labelled and give the relevant information needed to rectify any issues when attempting either. It is very strict, and since I use it with an RSA SecurID with rotating pass-codes, it can take a few tries before I can connect. However, this is a limitation of the user and not the software, and its strictness does highlight the secure nature of the product. Check Point Endpoint Security does exactly what it needs to, and remains secure when I work remotely. I use Check Point Endpoint Security any time I work away from the office, and need to log in to sensitive environments from a distance. As a consultant, I am not always in one location while supporting customers. Check Point Endpoint Security helps me access corporate environments no matter where I am. "Check Point endpoint security solutions "
This tools include data security, network security, advanced threat prevention, forensics and remote access VPN for complete endpoint protection. we use all time. i dont like that we need to use another tool for check virus. we use another antivirus tool. perhaps, this is a new features for the next release. we use a lot the remote access VPN for complete endpoint protection. i recomend it. "Secure and Easy to Use"
This is very easy to use - especially on the user end. A lot of the employees at my company are not very tech-savvy, but they rarely have issues using the VPN client because it is so easy to use. I don't even know what to put here! I honestly like this a lot better than any of the others I've used in the past! If you have a lot of users who will be using the VPN client who are not very tech-savvy, this is a good option for you. This feels very secure in comparison to the others I've used in the past. It was very easy to implement and I would definitely recommend it to any other organization with security concerns. Most of our clients are in financial industries, so we have to make sure we follow their security guidelines. Easy to use application that's pretty straightforward. Automatically reconnects if my WiFi disconnects for any reason. Connection is valid for 8 hours so I don't need to keep my token with me at all times. When I use SQL Server Management Studio, my connection gets closed almost once a minute. Makes running large queries or using temp tables almost impossible. Make sure it allows you to maintain server dependent connections, such as SSMS and databases. Secure connection to the network when working remotely. Check Point Endpoint Security allows for an easy safe and secure connection to my firms VPN Gateway so that I can access any and all firm resources outside the office when connecting remotely. I have had issues when I've lost my gateway configuration or have had to re-authenticate, but am able to reconfigure a new gateway so not to hard to troubleshoot. Very easy to implement, use and troubleshoot. Great product that helps manage and maintain security requirements and risks. Allows users to access all firm resources while working remotely without having to worry about security risks and keeps detailed logs of users and connection times which help when troubleshooting to resolve any issues. "End to end cybersecurity platform"
Learning about Check Point Endpoint Security? * We monitor all Check Point Endpoint Security reviews to prevent fraudulent reviews and keep review quality high. We do not post reviews by company employees or direct competitors. Validated reviews require the user to submit a screenshot of the product containing their user ID, in order to verify a user is an actual user of the product. Hi there! 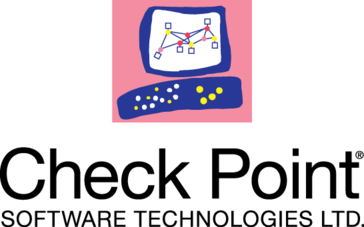 Are you looking to implement a solution like Check Point?